The horrific events of Monday’s explosions in Manchester continue to send shockwaves throughout the UK as well as the rest of the world, as people present at the concert venue are still being reported as missing. As of Wednesday, at least 22 have been reported dead. Among them includes budding TV star and popular online commentator Martyn Hett – and Mariah Carey has joined people online who have given condolences. Martyn was an attendee at the Monday (22nd May) performance of Ariana Grande‘s concert tour, and was considered among some of the missing people on Tuesday. However, on Wednesday it was confirmed that he tragically lost his life in the bombings. The 29-year-old PR manager was popular on social media – some of which stemmed from his hilarious appearance on Tattoo Fixers. 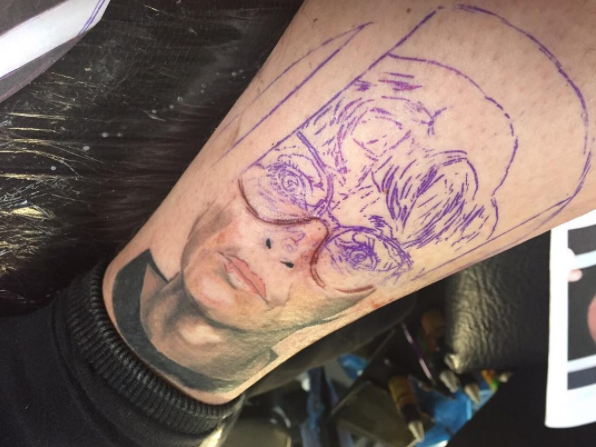 Super Coronation Street fan Martyn decided to get his favourite character, Deirdre Barlow, tattooed on his ankle – in place of a less impressive Deirdre tattoo in 2015. What’s more, he and his boyfriend appeared on Channel 4 social cooking show Come Dine With Me and ended up walking away with the top prize. Upon hearing the news, Mariah Carey has also paid respects with a sweet Instagram post; he was an avid fan. 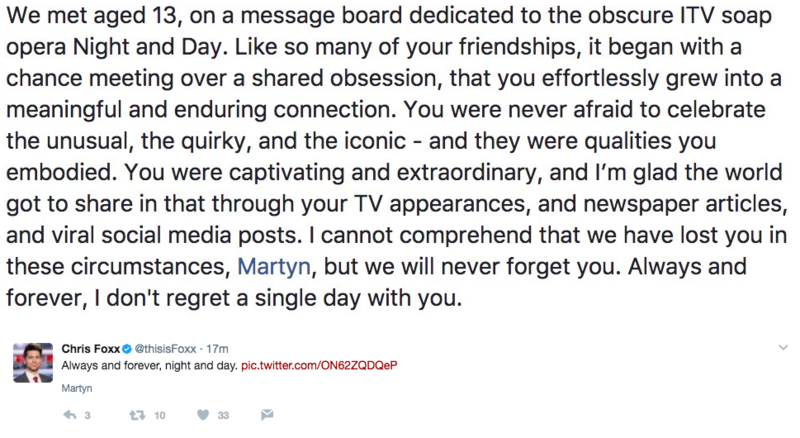 All at Now send greatest condolences to Martyn’s loved ones.